179 Marlborough is located on the north side of Marlborough, between Dartmouth and Exeter, with 177 Marlborough to the east and 181 Marlborough to the west. 179 Marlborough was designed by Theodore M. Clark and Edgar C. Curtis, architects, and built in 1881 by Vinal & Dodge, masons, and McNeil Brothers, carpenters, as the home of Horatio Greenough Curtis (Edgar Curtis’s brother) and his wife, Annie Neilson (Winthrop) Curtis. They previously had lived at 140 Marlborough. Horatio Curtis is shown as the owner on the original building permit application, dated July 5, 1881. Horatio Curtis purchased the land for 179 Marlborough on April 4, 1881, from George Bruce Upton, Jr. It was part of a parcel that had originally been purchased from the Commonwealth of Massachusetts on June 13, 1871, by building contractor Silas Whiton Merrill, and had subsequently changed hands several times. Click here for an index to the deeds for 179 Marlborough. On August 15, 1883, he transferred 179 Marlborough into his wife’s name. 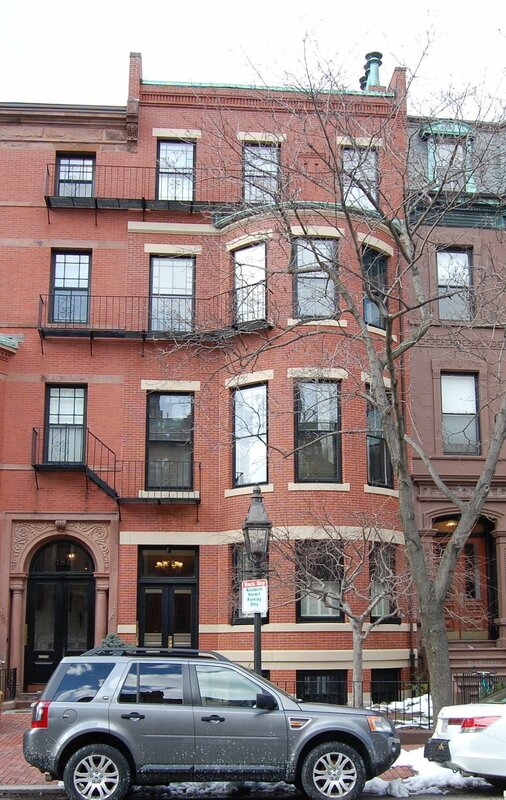 From about 1888, Horatio Curtis’s unmarried twin brothers, Louis and Laurence Curtis, lived with Horatio and Annie Curtis at 179 Marlborough. They previously had lived at 45 Mt. Vernon. Louis Curtis was the Boston agent and subsequently resident partner of the banking firm of Brown Brothers & Co. (later Brown Brothers, Harriman & Co.). He married in October of 1890 to Fanny Leland Richardson and they moved to 299 Beacon. Laurence Curtis was a stockbroker and investment banker. An avid golfer, he founded the United States Golf Association in 1894. He continued to live at 179 Marlborough during the 1902-1903 winter season, but moved thereafter to 197 Marlborough. Horatio Curtis died in November of 1922. 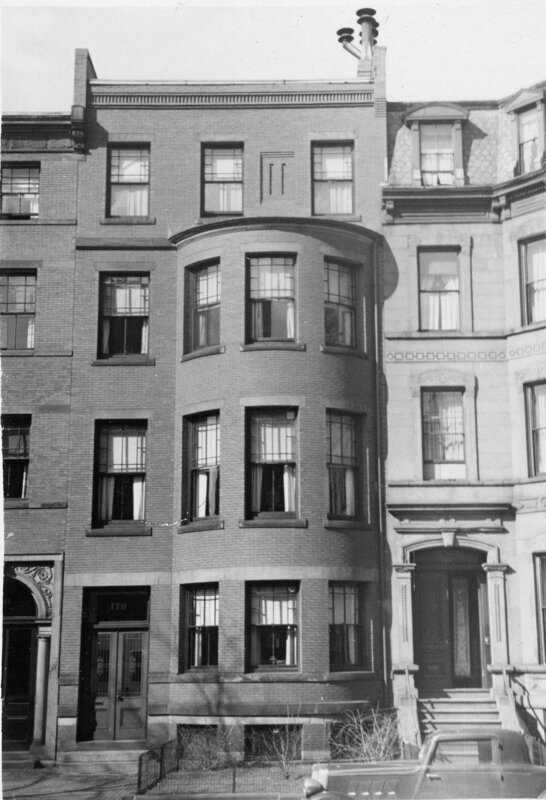 Annie Curtis continued to live at 179 Marlborough until her death in August of 1940. She also maintained a home in Nahant. On December 4, 1940, 179 Marlborough was acquired from Annie Curtis’s estate by the Cathedral Church of St. Paul. It became the home of Rev. Edwin J. van Etten, who had been elected Dean of the Cathedral Church in May of 1940. He previously had been Rector of Calvary Episcopal Church in Pittsburgh. 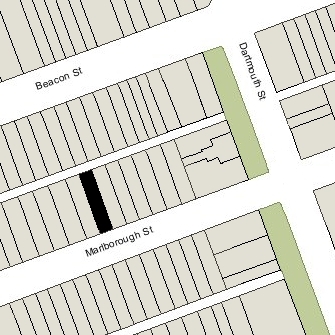 He continued to live at 179 Marlborough in 1943, after which he moved to 26A Chestnut. On November 19, 1943, 179 Marlborough was acquired by Ione E. (Jones) Whitehead Colburn, the widow of Charles Anderson Colburn. She previously had lived at 185 Beacon. In June of 1944, she filed for (and subsequently received) permission to convert the property from a single-family dwelling into a lodging house. She continued to live there (and operate it as a lodging house) until about 1955. On December 14, 1956, 179 Marlborough was acquired from Ione Colburn by Miss Caroline P. Bowditch. She lived at 146 Beacon with her sisters, Ruth William (Bowditch) Munro, the widow of Willis Munro, and Marion (Bowditch) Steeves, the former wife of Walter Bingham Steeves. On December 18, 1957, 179 Marlborough was acquired from Caroline Bowditch by her sister, Marion Steeves, and Mildred M. Baird of West Roxbury. They continued to operate it as a lodging house. The property changed hands and on August 1, 1969, was acquired by real estate dealer George P. Demeter, trustee of the Demeter Realty Trust. 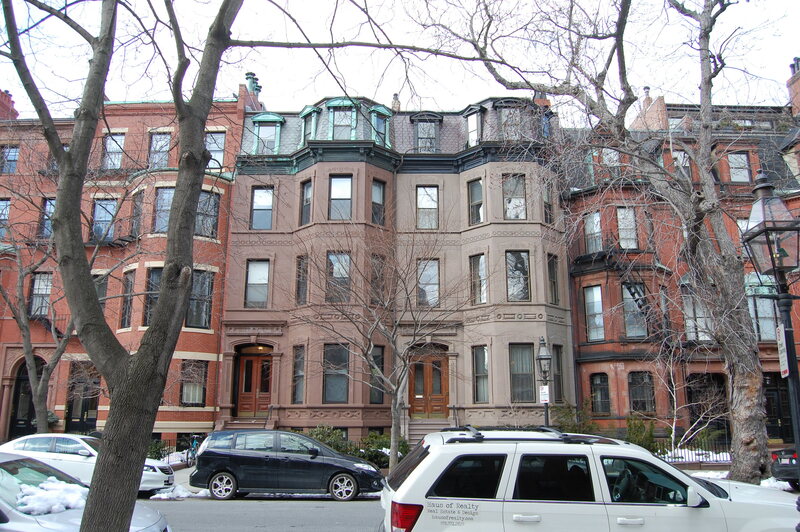 On July 6, 1984, George Demeter converted the property into five condominium units, the 179 Marlborough Condominium.